It’s easy to forget Leicester City’s seemingly distant past when they were limping on their way back to the Championship. As the Foxes struggled somewhere in the relegation scrap despite having played well all season long, one simply wouldn’t have banked for what was to come. It was probably “that” afternoon at The Hawthorns against Tony Pulis’ West Bromwich Albion where things turned around for Leicester. They went into the game all dead and buried, destined for a defeat. 2-1 down at the 80th minute mark, they had half a foot in Division 2 when first Robert Huth and then Jamie Vardy (90’+1) scored to complete what was a sensational comeback, one that instilled a lot of belief into the side. They went on to avoid relegation by some margin and finished the season with a 5-1 thumping of Queens Park Rangers, having previously put two past Southampton and three past Newcastle United. The seeds that had been sown by Nigel Pearson were taken good care of and helped grow by Claudio Ranieri. The rest, well, it all seems would now be history. Leicester City are now into the most important period of their 132-year history, this time destined for the title with all of Europe behind them, cheering and praying for a relative unknown to win the Barclays Premier League. They are no longer a mere club, they are Football in its pristine form inspiring the other so-called small clubs to dare to dream for the impossible; they are a pure Footballing soul spreading out the message about how you play the game the right way – with passion, unity, grit and belief. In doing so, they have set their own principles and a philosophy of giving their all in a game regardless of the result and its importance. Even if accidentally, Claudio Ranieri has laid down the guidelines for the club’s current as well the future generation of players. What becomes crucial from hereon is to utilise this model that’s endeared itself to everyone connected to Football, and build upon it so their success this term isn’t rebuffed as a one season miracle, but cherished as a chef d’œuvre on how you become a modern superpower without the bloated riches of the Arabs or the Russians. When we talk about “building” upon their current success, what’s meant is readying the club for the phase it enters from hereon. More than anything else, it’s sustenance of any description that Leicester City need to plan for to avoid taking the risk of losing their best players – the players they have developed – to Europe’s big boys. As integral as it is to see Ranieri’s principles as the basis for all that the club does for the times to come, it’s also important to think about finances, the direct impact of which reflects on the stability you possess as a club. Why Arsene Wenger opted to move away from Highbury and preferred years of financial austerity was because he knew that Arsenal were only going to fall way behind if they overlooked a move to a bigger stadium and the sustenance it could bring about in the longer-term. Look at where Arsenal are now on the financial front. Leicester City too would need to consider what’s required and what not in order to cement the club’s status as a top-flight club which is exactly what sustenance should mean for Ranieri’s side. All this time, what will be the key is not trying to deviate from their principles as their success depends heavily on them unlike many of the other clubs who rely upon money. 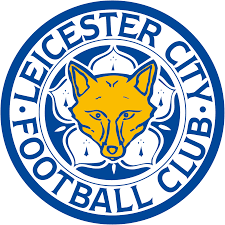 The day Leicester City get rid of their ideals, the fact they still are financially weak will catch up and throw them right back; that’s why they do need to stay true to their own self while they try to prepare for a brighter, a more prosperous future. The message is simple for Leicester City. The moment to start building is now so their meteoric rise is not branded as short-lived and looked at with extreme regret, rather than as a beginning of an era never witnessed in Football. Leicester hero too cheap for Wenger!